Will they find salvation--or their ultimate destruction? Still lost in uncharted space, the Robinsons land the Jupiter Two on an Earthlike planet that has suffered a mysterious disaster. There is apparently no one alive. Roads and cities have literally melted, except for one mysterious building protected by a still-alive force field. Inside, they find a maze of doors, each opening to a terrifying alien experience--and an awesome new power beyond all imagining. 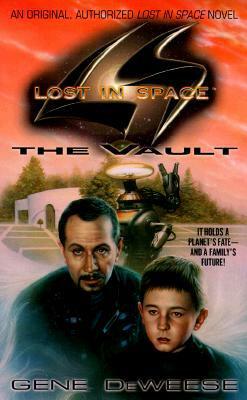 Will the secret of the Vault save the Jupiter Two and show the way home to Earth? Or will it be used by the nefarious Dr. Smith to destroy the hated Robinsons once and for all? Gene DeWeese gives an exciting, fresh spin to science fiction's most popular series in this authorized new original novel that continues the adventures of the Robinsons begun in the hit film Lost in Space. This all-new Lost in Space combines the nonstop thrills of the classic series with an exciting contemporary edge.